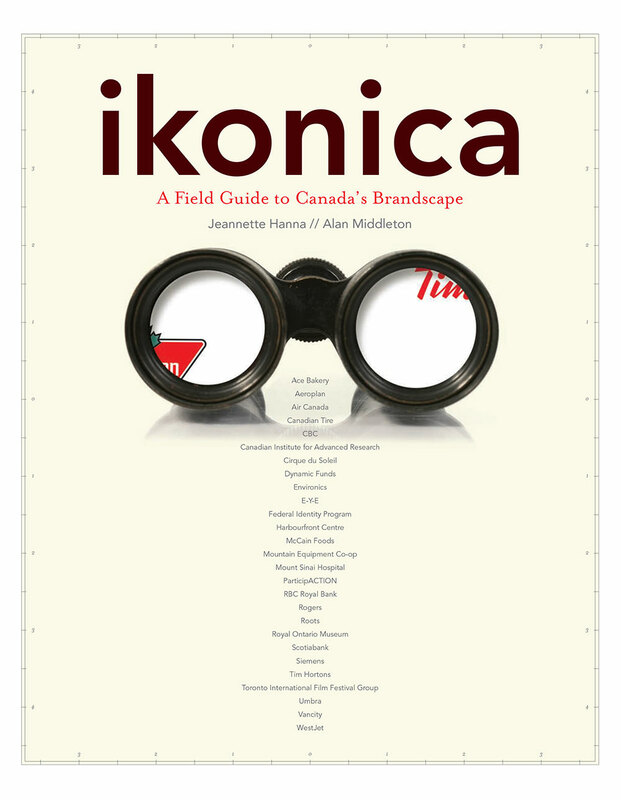 From Roots to Rogers, Tim Hortons to Cirque du Soleil, Ikonica is a witty, thoughtful tour of the prime movers, triumphs, and flops of Canada’s complex “brandscape.” The first book to explore the country’s rich and unique brand heritage as well as emerging trends, Ikonica draws on authors Jeannette Hanna’s and Alan Middleton’s years of experience as brand strategists. The authors also offer a provocative analysis of what it takes for Canadian brands to “punch above their weight” in the economic minefield that is today’s global marketplace. Pop packaging and 150 vibrant illustrations make Ikonica as appealing to students of culture as to businesspeople, marketers, and corporate history buffs. Ikonica’s fresh, punchy layout makes for an engaging read on Canada’s branding history. Editors Alan Middleton and Jeanette Hanna playfully use a field guide format throughout, including such chapter headings as Origin of the Species and Habitat 101. Surprisingly, this marks the first publication on the topic, with some 30 first-hand accounts of the country’s best corporate success stories. More than anything, Ikonica unveils the integral role corporations play in building national identity.